The lawyers say that the statue placed near the district court here got "dirty" after Bansal garlanded it. Ambedkar played a pivotal role in inspiring the Dalit Buddhist movement and campaigned against social discrimination towards Untouchables. 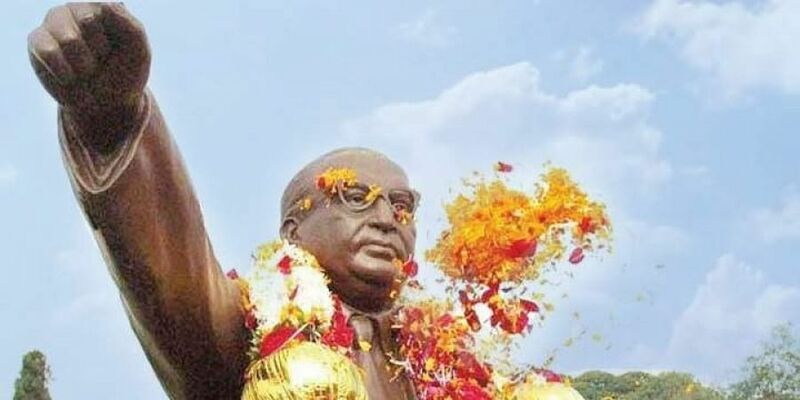 MEERUT: A group of Dalit lawyers in Meerut, Uttar Pradesh "purified" the statue of Dr. B R Ambedkar with milk and 'gangaajal'(Ganga Water) soon after it was garlanded by Bharatiya Janata Party's (BJP) state secretary Sunil Bansal on Friday. "We are purifying this statue because Rashtriya Swayamsevak Sangh's Rakesh Sinha came and garlanded it.BJP government oppresses Dalits. They have nothing to do with Ambedkar, but still they use his name just to promote their party and allure the Dalit community," a lawyer told ANI. In a similar incident, a temple in Uttar Pradesh's Hamirpur town was purified with 'Gangaajal' and statutes of deities were sent to Allahabad for purification after the visit of Bharatiya Janata Party MLA Manisha Anuragi. Manisha Anuragi visited the temple on July 12 while she was in her assembly constituency to attend a function.